If you want to buy a house at a discount in San Pedro, some of the best deals you’ll find won’t be on the MLS. The best deals are typically off-market properties. But how do you find them if they aren’t on the MLS? 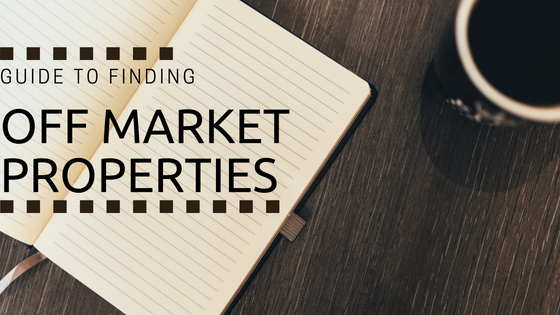 In this post, we will offer you a quick guide to finding off-market properties in San Pedro and anywhere, for that matter. Real estate investors and savvy homebuyers find the best deals when they find properties for sale before they are listed on the MLS. Private sellers and investors don’t typically put their houses on the MLS. You’ll need to do your homework in order to find the best property deals in San Pedro. But, off-market properties are a great way for buyers and sellers to save commissions, fees, and hassles of listing on the MLS. Many times, sellers will try to sell their house without an agent in order to get a good feel for the amount of interest in their home. They will place ads both in print and online (like Craigslist), offering their home for sale. Contact these off-market sellers to negotiate a price for a private sale. If you don’t involve agents in the transaction, everyone will save money. The classifieds are the most basic and simple way of advertising. This is where many people start when trying to sell their houses before moving on to more costly platforms. By searching the classifieds every single day, you will likely be able to find properties you might not have come across otherwise. Simply driving around in the neighborhoods you like can be a great way to find off-market deals. Some homeowners will be selling their house privately and will therefore only have a small yard sign with a phone number on it. Other properties might be neglected or appear vacant. These sellers may not even know they want to sell yet, but will realize they should after getting your offer! Instead of driving, you could go for a walk around the area, also. Slowing down will give you a better opportunity to see the houses without looking weird and creepy. You might even get the opportunity to talk to a neighbor in order to learn more about the area and let them know of your intention to buy a house in need of repairs. They might know of a house or two that are going to be listed for sale soon. Or they may know of a house that is bringing down the value in the area because it’s in such disrepair. It makes sense for them to help see that it gets fixed up. In addition to talking to the neighbors, you should try to network with all types of people, as much as possible. Talk to people at local real estate networking events, gatherings that bring out the whole town, and with the people that you encounter every day. Your hair stylist’s niece might be thinking about selling, but never would have known you buy houses needing repairs if you hadn’t let them know. Let people know what you are looking for and you will be surprised at all of the potential leads you will find! Hiring or working with a professional San Pedro investor will definitely save you time and money. While many agents specialize in off-market properties, a local real estate investment company such as The Shenbaum Group, Inc. will be able to provide the best houses at the best prices. We work on finding deals and renovating properties. We know you are looking for a good deal, too, which is why we pass the savings on to you! Give us a call today to find out more about what we have available and how we can help you find off-market properties in San Pedro!